Gemstone jewelry supplied wholesale by China importing business. Stretchy rhinestone ring with iridecent blue gems inlaid throughout entire ring. 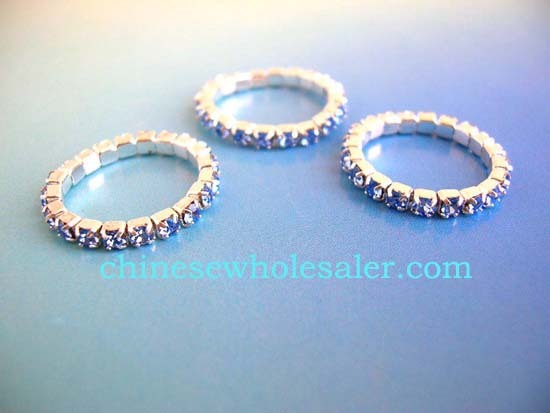 Stretchy rhinestone ring with iridecent blue gems inlaid throughout entire ring.